Knowing what to bring when vacationing in the Lake Winnipesaukee area of New Hampshire can help you enjoy everything about it. The weather in New England changes with each season and is unpredictable no matter what time of year it is. In general, it's warm in the summer and cold in the winter. 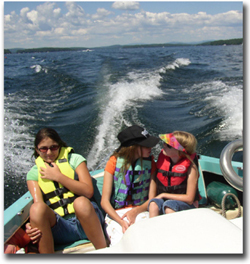 The peak season around Lake Winnipesaukee in New Hampshire is the summer, but you can enjoy everything all year. If you come between May and September, you'll experience the warmer days and evenings. The weather can range from cool and rainy to downright hot and humid. This is all a matter of opinion based on where you're from. People from warmer climates might think cool is cold and hot is warm. Those that hail from cold climates might think cool is warm and hot is even hotter than we think. That's why it's important to know what to bring to Lake Winnipesaukee. If you visit New Hampshire in the fall, the weather is generally cool with some frosty mornings. Some days could be in the 70 to 80 degree range and others can be 30s and 40s. This is ideal weather for peak leaf peeping. 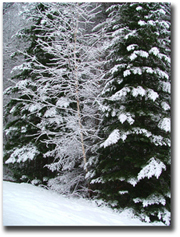 The winter months in New Hampshire bring the cold, snowy weather. Lake Winnipesaukee is still a great place to visit in the winter because of all the outdoor activities such as skiing, ice skating, snowmobiling and more. Spring is a time for rejuvenating and it's a good time to get a head start on the summer season. Early spring tends to be colder than late spring. The cold nights and day time temperatures in the 40s is great weather for maple sugaring in New Hampshire. Late spring can take on the characteristics of summer and then switch back to cooler weather in no time. 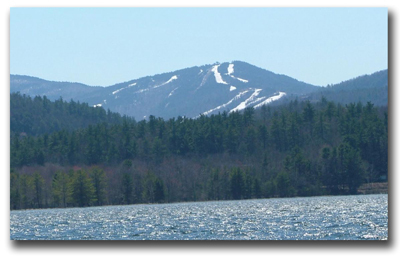 You can enjoy all of the seasons and face the unpredictable weather in the Lake Winnipesaukee area of New Hampshire by being prepared. As they say in New England, "Wait a minute, the weather will change." Before coming, check my New Hampshire weather page. This will help with what to bring overall. 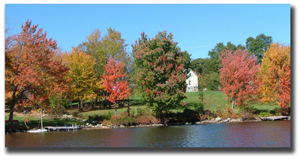 In the spring and fall it's best to bring both warm and cool weather clothes to the Lake Winnipesaukee area. If you dress in layers, you'll be able to peel off clothing as the temperatures climb or you can add a jacket if it gets cool. There have been times that I've gone on a leaf peeping cruise with shorts and t-shirt and other times with a heavy coat and earmuffs. It didn't matter because I was ready for the temperatures and was able to enjoy the outdoors. In the summer, it can be quite warm in the Lake Winnipesaukee area of New Hampshire but it's important to have a light jacket along in case the weather turns. The winter time is definitely cold weather gear. There's no need for shorts but you might want to bring extra clothes in case its really cold. Just to let you know, the weather in southern New England can be different than the northern half. There could be three feet of snow in the Lake Winnipesaukee area of New Hampshire and bare grass in Massachusetts, Connecticut and Rhode Island. The temperature difference can be as much as 10-15 degrees. Ski gear - skis, poles, boots, goggles, etc. The above are suggestions on what to bring for each season. You might want to add to or subtract from based on when your vacation is. It's best to be prepared for whatever the weather brings in the Lake Winnipesaukee area of New Hampshire.